University College Advising has academic advisors ready to help with your academic needs: planning your semester schedule, teaching your First-Year Seminar class, looking at degree options, or helping to bridge the gap between student life and academic success. We advise a variety of students including, but not limited to, undecided students and those admitted through the alternative admission program and the academic review committee. UCA is also the advising home for undecided transfer students, some students on academic probation, and students needing help in developing/determining degree plans. In addition to academic advising, UCA provides students with a First-Year Seminar class (UNIV 1111) designed to help freshmen adjust to the demands of college life; learn how to become academically successful; explore various major and career options; and become aware of university rules and regulations. UCA advisors are trained to do more in-depth advising and will refer students to their specific college/departmental advisors as soon as they are ready. Freshman and Transfer students who are not ready to declare a major are advised by University College Advising. Students who indicated that they were Undecided when they applied for admission to OSU, but have since determined their area of interest, may declare their major prior to attending New Student Orientation. They can e-mail admissions@okstate.edu from their OSU e-mail address or alert the NSO staff at check-in. Once the student has enrolled in classes, they will work with their advisor to identify coursework appropriate to their areas of interest. The advisor may refer the student to various resources including Career Services to help them narrow down their choices of majors. UCA also hosts a campus-wide Majors Fair every fall. Students may generally transfer to their academic college of choice depending on their college's and department’s individual GPA requirements. In most cases you will be taking the same classes as students advised by the college offices. Advisement through UCA simply means that information on all majors will be given to you and more support will be provided. Freshman applicants who do not meet OSU's assured admission criteria are reviewed by the Admissions Review Committee, which is composed of Undergraduate Admissions staff members. Students reviewed by this committee are eligible for two admission categories: holistic admission or alternative admission. Students admitted under holistic or alternative admission are advised through University College Advising. Applicants whose records demonstrate a 3.0 high school GPA in 15-unit core OR 22 ACT OR 1020 SAT may qualify for further review by the Admissions Review Committee for holistic admission. This committee completes a holistic review of the applicant's file, including a review of responses to the application essay questions, high school GPA, class rank, test scores and letters of recommendation. Holistic admission means students are fully admitted to OSU and will be advised through University College Advising. Students admitted under holistic admission criteria who qualify for Oklahoma's Promise are eligible for full funding. Students are admitted in good academic standing. If you have less than a 19 ACT in any of the four tested areas (math, English, reading, or science), you may have a performance deficiency and need to remediate in that area. Generally, such performance deficiencies will be remediated before you are eligible to declare a major in one of the six undergraduate colleges. After remediation of any deficiencies and completing one semester with a 3.0 GPA or two semesters with a minimum 2.0 GPA, students may generally transfer to their academic college of choice depending on their college and department’s individual GPA requirements. In most cases you will be taking the same classes as students advised by the college offices. Advisement through UCA simply means that information on all majors will be given to you and more support will be provided. The Alternative Admissions Program allows a certain percentage of incoming freshmen (currently 8% of the previous year's freshman class) to attend OSU without meeting all of the regular admissions requirements, but who meet minimum criteria and show potential for success as demonstrated by responses to the application essay questions, high school GPA, class rank, test scores and letters of recommendation. Students admitted under alternative admission criteria who qualify for Oklahoma's Promise are not eligible for full funding until their second semester at OSU. However, a one-time $2,500 award may be available during their first semester. Students who do not meet the College of Engineering, Architecture and Technology (CEAT) admission requirements will be admitted as Pre-CEAT General Studies and will be advised by a Pre-CEAT advisor through University College Advising. 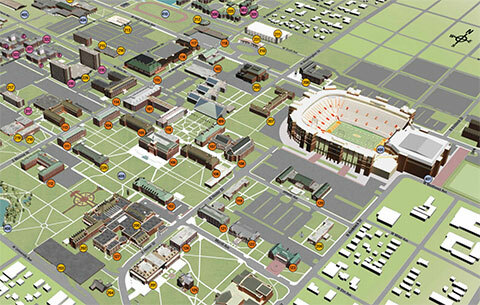 UCA provides specialized academic and support services to help students succeed at OSU. Once students are ready to enroll in the appropriate Calculus I course for their major and achieve at least a 2.5 OSU cumulative GPA they will declare a major within CEAT. UCA also advises students who are not yet eligible to declare a particular major, readmitted students who have below a 2.0 GPA, transfer students admitted on probation, and new freshmen who have below a 2.7 high school GPA or two or more areas of remediation. Each student is advised on a case-by-case basis to ensure that their individual goals are taken into consideration through the advisement process. Freshmen whose GPA or remedial status changes due to new ACT scores or a final high school transcript are eligible to declare their major once Admissions has processed their submissions.